Join our public community group chat on Telegram. Telegram is a fantastic cloud-based mobile and desktop messaging app with a focus on security and speed. You can join groups or chat with family and friends free. 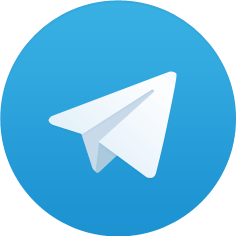 Telegram has been downloaded over 100 Million times on Android and is fast becoming the "go to" messaging app. We are proud to introduce Telegram to the public and have the opportunity to chat live with Newcastle Hackney taxi drivers. Our Telegram group is a dedicated area whereby NHCDA members can chat to the general public to explain the reasons why they should use a Hackney vehicle. You can even book a licensed taxi in our group or check out where to get your taxi from. Which areas are busy right now? No advertisements allowed. Abusing other drivers in the group or swearing is not allowed or tolerated. Be friendly and enjoy. You will be banned if you abuse any driver or member of the public.